Home Barcodes Barcodes its technology & Charactrics. In 1948, a local food chain store owner approached Drexel Institute of Technology in Philadelphia asking about research into a method of automatically reading product information during checkout. Bernard Silver, a graduate student at Drexel Institute, along with fellow graduate student Norman Joseph Woodland, teamed together to develop a solution. On October 20, 1949, Woodland and Silver succeeded in building a working prototype describing their invention as “article classification…through the medium of identifying patterns”. On October 7, 1952, they were granted a patent (US Patent #2,612,994) for their “Classifying Apparatus and Method”. Efforts to develop a working system accelerated in the 1960’s. Bar coding was first used commercially in 1966, but to make the system acceptable to the industry as a whole there would have to be some sort of industry standard. By 1970, Logicon Inc. had developed the Universal Grocery Products Identification Code (UGPIC). The first company to produce barcode equipment for retail trade using (using UGPIC) was the American company Monarch Marking (1970), and for industrial use, the British company Plessey Telecommunications (1970). In 1972, a committee was formed within the grocery industry to select a standard code to be used in the industry. IBM proposed a design, based upon the UGPIC work and similar to today’s UPC code. On April 3, 1973, the committee selected the UPC symbol (based on the IBM proposal) as the industry standard. George J. Laurer is considered the inventor of U.P.C. or Uniform Product Code. A barcde is an optical machine-readable representation of data. Originally, barcodes represented data in the widths (lines) and the spacings of parallel lines, and may be referred to as linear or 1D (1 dimensional) barcodes. They also come in patterns of squares, dots, hexagons and other geometric patterns within images termed 2D (2 dimensional) matrix codes. Although 2D systems use symbols other than bars, they are generally referred to as barcodes as well. Barcodes can be read by optical scanners called barcode readers, or scanned from an image by special software. 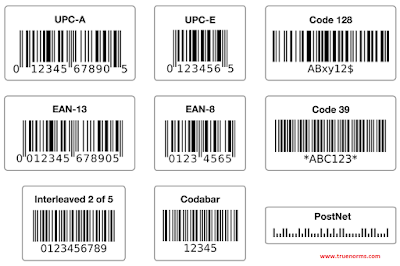 The primary barcode used in the United States is the UPC (Universal Product Code) barcode. The UPC is also the "original" barcode. The UPC was designed for the grocery industry. Because of the large number of items normally "checked-out" at the grocery store, a method was needed to speed up and eliminate "human" cashier errors. In 1973, the UPC barcode was born. To the average person, the barcode looks confusing and complex, but to a "bar-coded" friendly computer, it's actually very simple. Bar codes provide a simple and inexpensive method of encoding text information that is easily read by inexpensive electronic readers. Bar coding also allows data to be collected rapidly and with extreme accuracy. A bar code consists of a series of parallel, adjacent bars and spaces. 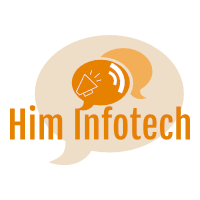 Predefined bar and space patterns are used to encode small strings of character data into a printed symbol. Bar codes can be thought of as a printed type of the Morse code with narrow bars (and spaces) representing dots, and wide bars representing dashes. A bar code reader decodes a bar code by scanning a light source across the bar code and measuring the intensity of light reflected back by the white spaces. The pattern of reflected light is detected with a photodiode which produces an electronic signal that exactly matches the printed bar code pattern. This signal is then decoded back to the original data by inexpensive electronic circuits. Due to the design of most bar code it does not make any difference if you scan a bar code from right to left or from left to right. 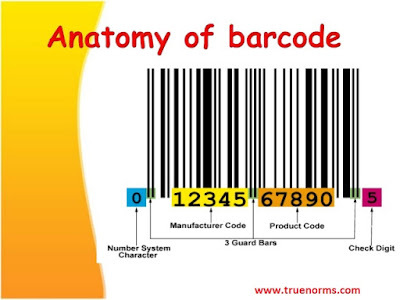 The basic structure of a bar code consists of a leading and trailing quiet zone, a start pattern, one or more data characters, optionally one or two check characters and a stop pattern. 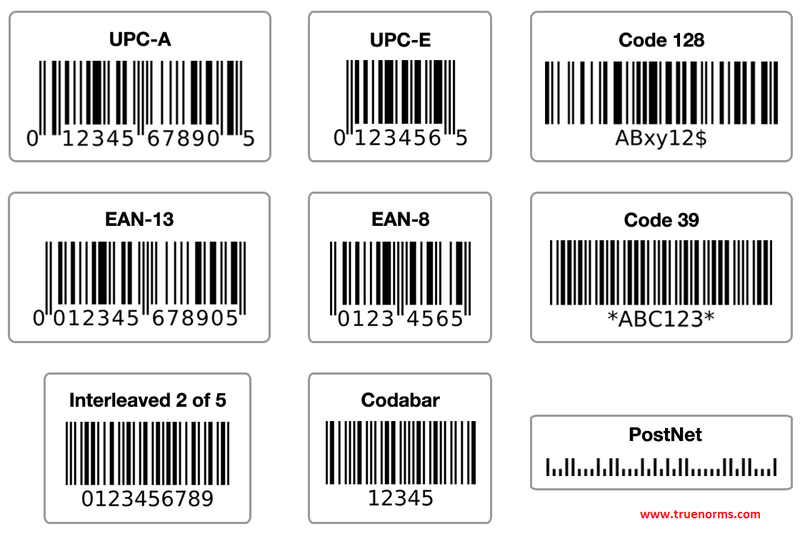 There are a variety of different types of bar code encoding schemes, each of which were originally developed to full fill a specific need in a specific industry. The different symbologies have different capabilities for encoding data. For example the UPC symbology used to identify retail products always contains 12 numeric digits. These type of bar codes are called "linear symbologies" because they are made up of a series of lines of different widths. Most commercially available bar code scanners are able to read all of the different linear bar code symbologies therefore you do not need different readers for different types of bar codes. New "2-Dimensional" bar code symbologies like EAN, Aztec Code etc. are also now available that can encode several thousand bytes of data in a single bar code symbol including text or binary data. The newer 2D bar code symbologies typically require special bar code readers that are designed specifically for reading them. The magnification (size) of the bar code symbol is determined by the X-dimension (one narrow module width) in relation to a nominal size. The allowable magnification range depends on the symbol type and the intended scanning environment. Reliability of scanning is always enhanced by selecting a magnification higher than the minimum. To print an accurate and high quality bar code symbol a number of factors, such as the printing process, ink quality, and substrate, must be taken into consideration. Once the magnification of the bar code symbol has been determined, for EAN/UPC Bar Code symbols it is important to ensure that the height remains in proportion to the magnification, and does not drop below the minimum specified. The Quiet Zones (Light Margin) of the bar code symbol are the solid, light areas before the first bar and after the last bar. These areas are extremely important as they allow the scanner to recognise the beginning and end of the bar code symbol. Any obstruction or reduction in the Quiet Zones will most likely result in scanning difficulties. The minimum size required for the Quiet Zones depends on the magnification of the bar code symbol. It is recommended to allow slightly more than the minimum required Quiet Zones to allow for any possible ink spread or plate registration issues. The colours and type of ink you choose for your bar code symbols is very important. As a scanner reads a bar code symbol using an infrared light source it sees the symbol differently to the human eye. As a result, some colour combinations and ink types are unsuitable for scanning because they do not provide sufficient contrast between the dark bars and the light background, or they provide a much too high reflectance value. The most suitable and reliable colour combination is black bars on a white background. However, as a general rule, the background of the bar code symbol can be a light, warm colour that does not contain any black (such as yellow or light orange), and the bar colour can be a dark, cool colour that has no, or low, red content (such as dark blue or dark green). The substrate (the material the bar code symbol is printed on) is very important. If unsuitable this can cause scanning difficulties. Different packaging materials reflect light differently, which can have an effect on the scanning ability of the bar code symbol. This is especially evident on transparent and translucent packages where the background is not printed. Always ensure that the print quality of the bar code symbol is of a high standard. Ensure that the bars in the symbol are clearly defined, watch for voids or smudging, and avoid flecks in the background colour. Maintaining acceptable print quality and consistent print gain (ink spread) requires regular ongoing checks. This number is a UPC system number that characterizes specific types of barcodes. In a UPC barcode it is normally on the left of the barcode. The actual "barcode" (the "bars" and "spaces") is the first "barcode" after the first "guard bar". The Number System Character is the blue box on the "Anatomy of a Barcode". 0 - Standard UPC number. • 2 - Random weight items like fruits, vegetables, and meats, etc. • 4 - In-store code for retailers. • 6 - Standard UPC number. • 7 - Standard UPC number. Almost every item purchased from a grocery store, department store, and mass merchandiser has a UPC barcode on it. This greatly helps in keeping track of a large number of items in a store and also reduces instances of shoplifting involving price tag swapping, although shoplifters can now print their own barcodes. The tracking of item movement, including rental cars, airline luggage, nuclear waste, mail and parcels. Entertainment event tickets can have barcodes that need to be validated before allowing the holder to enter sports arenas, cinemas, theatres, fairgrounds, transportation etc. This can allow the proprietor to identify duplicate or fraudulent tickets more easily. Automating Management Information Systems: Barcode Engineering and Implementation – Harry E. Burke, Thomson Learning, ISBN 0-442-20712-3. • Automating Management Information Systems: Principles of Barcode Applications – Harry E. Burke, Thomson Learning, ISBN 0-442-20667-4. • The Bar Code Book – Roger C. Palmer, Helmers Publishing, ISBN 0-911261-09-5, 386 pages. • The Bar Code Manual – Eugene F. Brighan, Thompson Learning, ISBN 0-03-016173-8. • Handbook of Bar Coding Systems – Harry E. Burke, Van Nostrand Reinhold Company, ISBN 978-0-442-21430-2, 219 pages. Thanks for sharing the essential information. The best part about internet is you really get the information what actually you’re looking for. I’ve found the knowledge hub where they share the Jobsinformation in an easiest way.